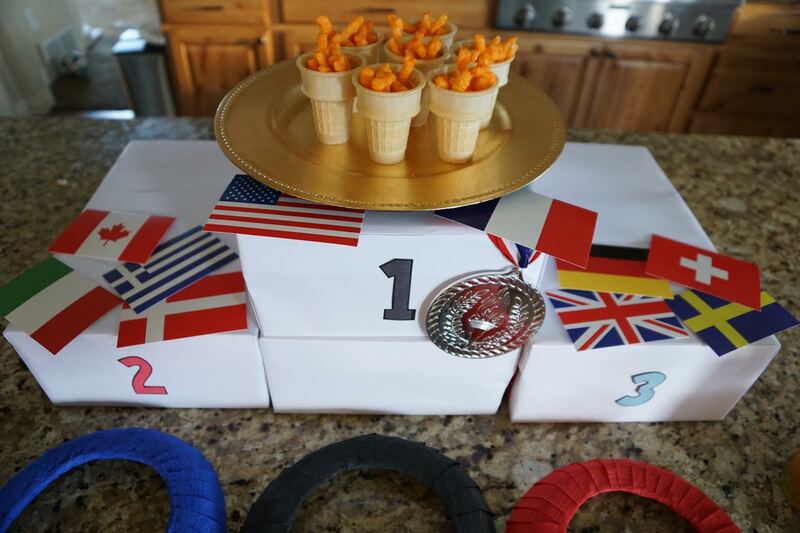 At our house, we LOVE watching the Olympics, AND we love parties. So…. Aren’t these ‘torches’ adorable? 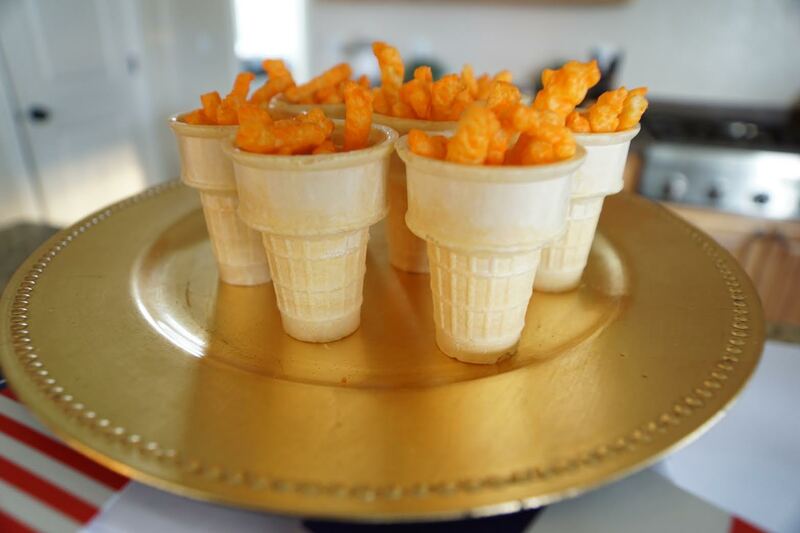 Ice cream cones and cheetos for the win. No son estas antorchitas adorables? Conitos de helado con cheetos, mmm que rico. Our podium! We took some shoe boxes and covered them in white paper (thanks husband for doing that). The medal and flags I got at our local Zurchers. Nuestro podio! Lo hicimos con cajas de zapatos cubiertas en papel blanco (gracias a mi marido con ayudarme con esto). La medalla y las banderitas las compre en la tienda Zurchers. 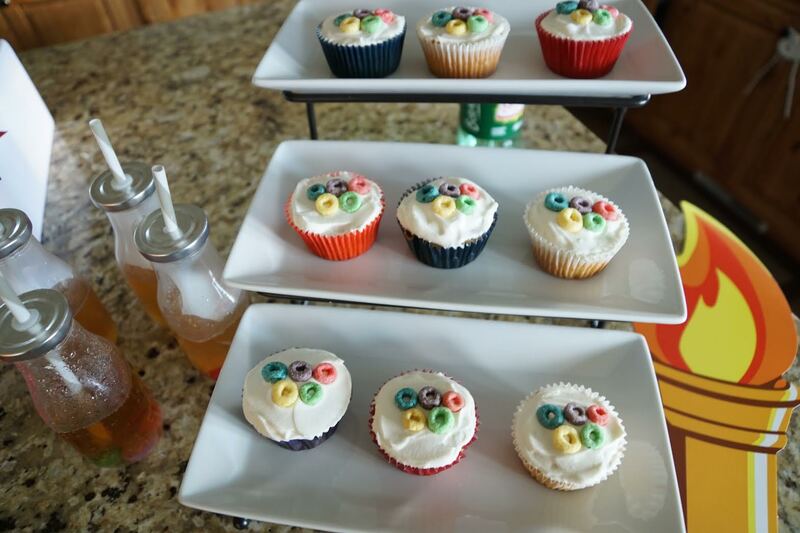 Our delicious cupcakes with the olympic rings (or fruit loops) on top were a hit. Nuestros quequitos quedaron muy ricos. 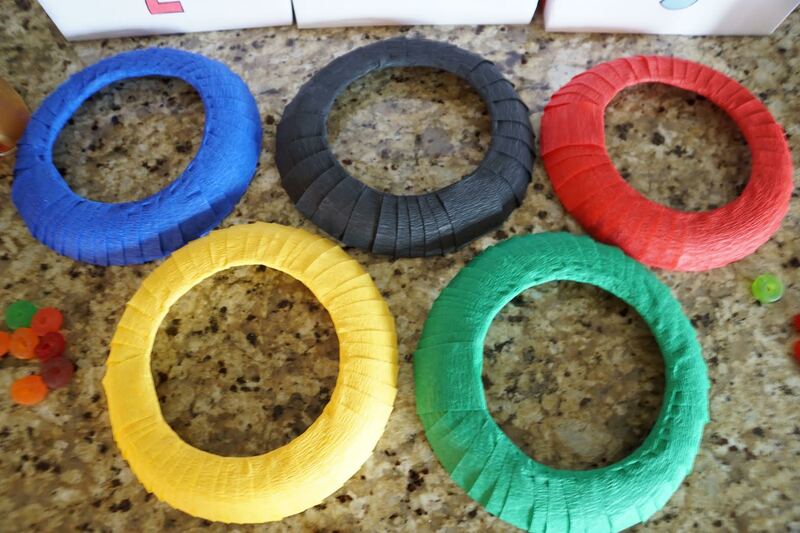 Los anillos olimpicos fueron hechos con el cereal Fruit Loops. Guarana! 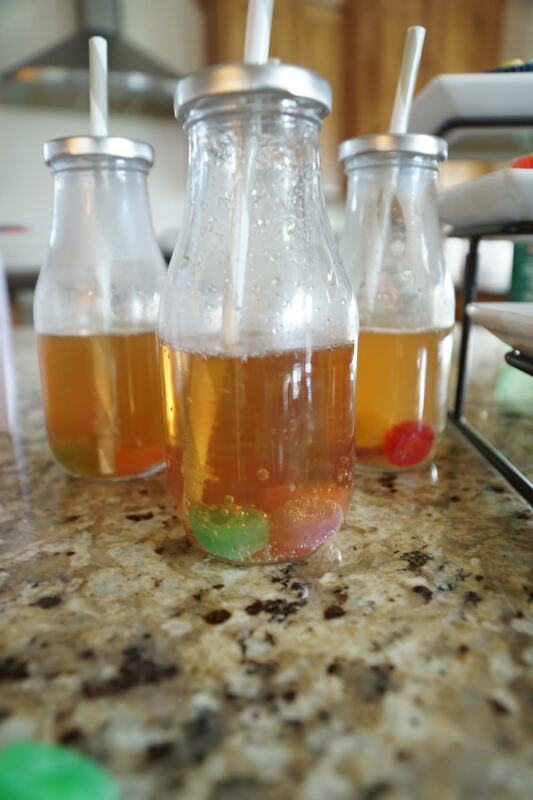 LOVE this delicious Brazilian drink. 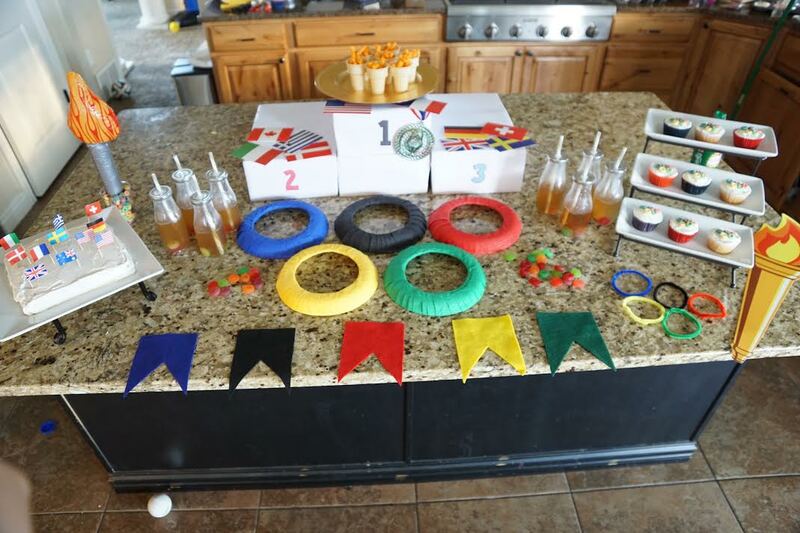 Some olympic rings (Life Savers) were added for sweetness…. and coolness. Tomamos la bebida Guarana que es de Brasil. Le agregamos anillos olimpicos a la bebida con dulces que se llaman Life Savers. Our Olympic cake with flags on toothpicks, which were purchased at Zurchers. 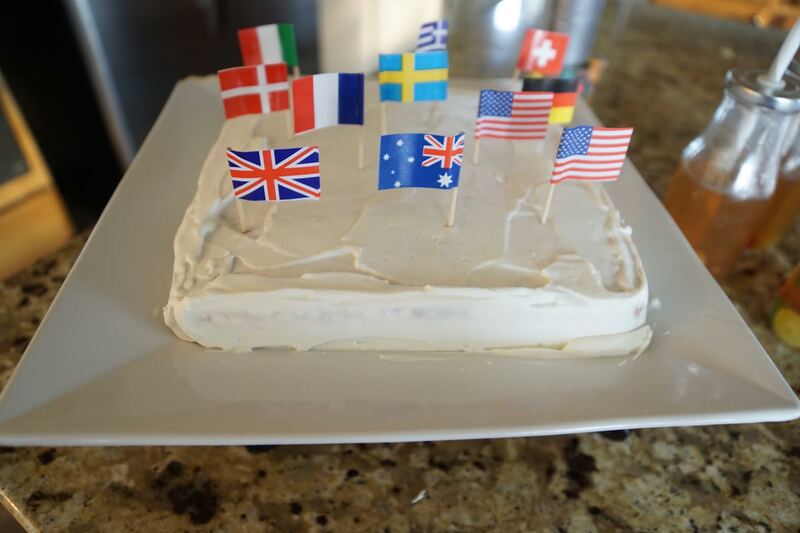 Nuestro pastel Olimpico con banderitas compradas en Zurchers.